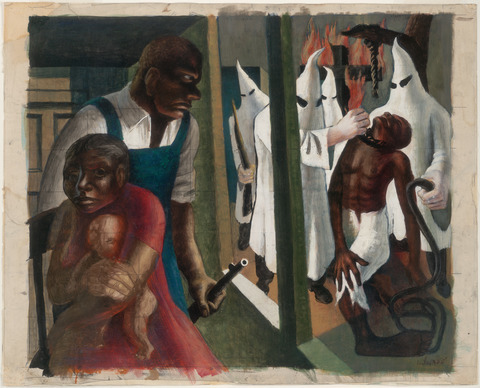 In 1952, while studying at La Esmeralda, the national school of art in Mexico City, African American artist John Wilson (1922–2015) painted The Incident, a powerful fresco mural of a lynching. Executed on an exterior wall at street level and featuring twice-life-size figures, the mural was intended to be temporary, but its commanding composition and skillful depiction prompted renowned Mexican muralist David Alfaro Siqueiros—who was then the head of Mexico’s department for the protection and restoration of murals—to advocate that it be preserved. Though the mural itself is no longer extant, Reckoning with “The Incident”: John Wilson’s Studies for a Lynching Mural brings together nearly all of the known preparatory sketches and painted studies for the fresco, as well as related drawings and prints. Wilson explored the intersection of art and politics throughout his career, always with an eye toward issues of social justice. His most visible work is a three-foot-tall bust of Dr. Martin Luther King, Jr., which has been on view in the Capitol Rotunda in Washington, D.C., since its 1986 installation. Reckoning with “The Incident”: John Wilson’s Studies for a Lynching Mural dovetails with the recent opening of the Equal Justice Initiative’s Legacy Museum and National Memorial for Peace and Justice, in Montgomery, Alabama—national monuments of unprecedented importance that honor and memorialize over 4,000 African Americans from 12 Southern states who were lynched between 1877 and 1950. Expanding upon the national conversation that is focused in Montgomery, and with support from the Isabel B. Wilson Memorial Fund, the exhibition debuts at the Faulconer Gallery, Grinnell College, Iowa, on January 25, 2019. It then travels to the David C. Driskell Center, University of Maryland, College Park, and the Clark Atlanta University Art Museum before its presentation at the Yale University Art Gallery in early 2020. 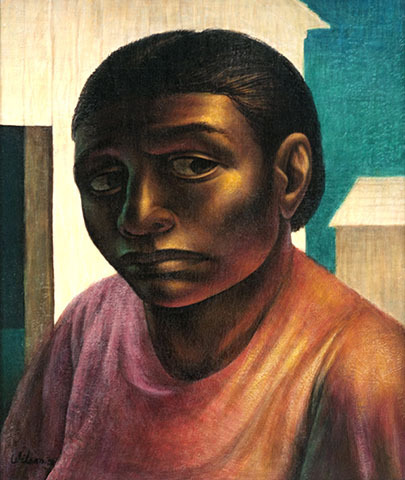 Of the 23 works on view, more than half are from the Grinnell College collection at the Faulconer Gallery, and a major Wilson painting from 1952 that is a study for the mother figure in the mural is on loan from Clark Atlanta. The rest of the objects are drawn from the Gallery’s collection and private lenders. The Gallery has actively collected John Wilson’s work since 2000, when the extraordinary opportunity arose to acquire the compositional gouache study for The Incident. Several recent acquisitions related to the mural led Pamela Franks, Senior Deputy Director and the Seymour H. Knox, Jr., Curator of Modern and Contemporary Art, and Elisabeth Hodermarsky, Acting Head and the Sutphin Family Senior Associate Curator of Prints and Drawings, to see the makings of an exhibition. Knowing of the Faulconer’s holdings and the Clark Atlanta painting, and with the opening of the Legacy Museum then on the horizon, Franks and Hodermarsky decided to partner with the Faulconer Gallery, the Clark Atlanta University Art Museum, and the David C. Driskell Center to organize this timely traveling exhibition, honoring the legacy of an important American artist and his commitment to social justice. 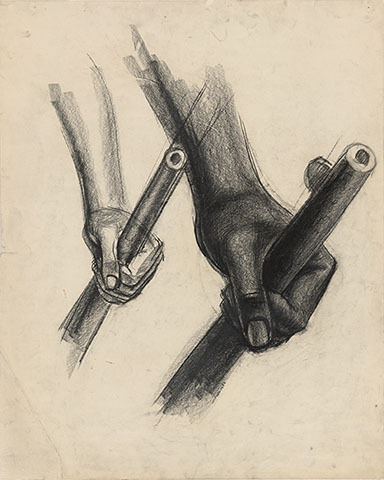 Exhibition organized by Pamela Franks, Senior Deputy Director and the Seymour H. Knox, Jr., Curator of Modern and Contemporary Art, and Elisabeth Hodermarsky, Acting Head and the Sutphin Family Senior Associate Curator of Prints and Drawings. Made possible by the Isabel B. Wilson Memorial Fund.